Eames | owl's house london. a bauhaus vision in white. Originally designed in 1934 by architect Nachman Kaplansky, Villa Kaplansky demonstrates the clean, geometric lines that were part of the Bauhaus movement’s influence. The exterior, with its linear, three bayed facade sitting on a raised plinth, uses the simple, functional language of the Modernists; the interior, recently remodelled, utilises these forms too, but with a contemporary take on ‘30s modern, adding an air of elegance. Surfaces are kept pure and white, uninterrupted by skirtings or cornicing. Architraves align with wall planes. Thinly profiled jambs of black metal frame the outside through openings that are low and linear, or perfectly circular. 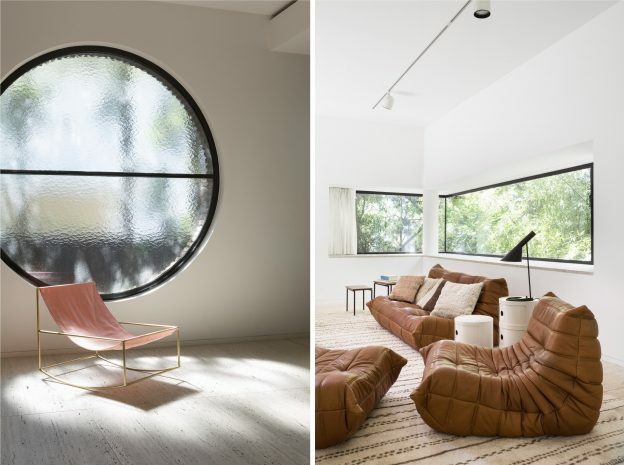 The circle motif appears again and again, from deeply recessed skylights to the spiral stair wrapping itself ribbon-like through the double-height volume. Mirrors are round, as is a fabulous freestanding bathroom basin unit. 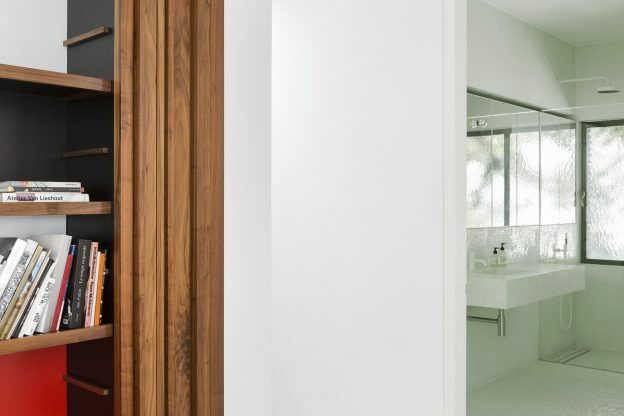 Contrast comes from the mid-brown timber joinery, in random width sections adding richness and texture, and mosaic tiles lining horizontal and vertical surfaces in wet areas. Beautiful marmoreal (or engineered marble here) forms the seamless kitchen island and floor surfaces, contrasted with the pale, creamy-pink fluted profile of the joinery units. 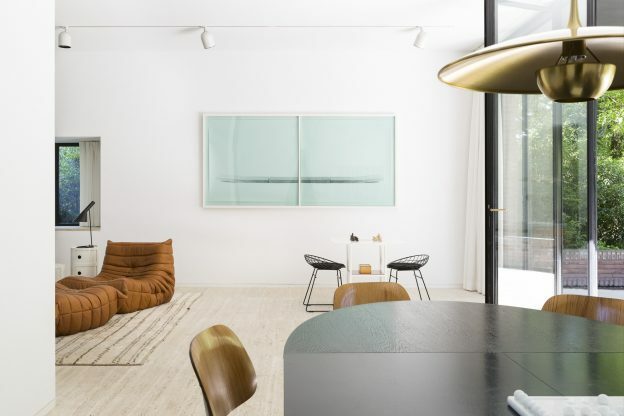 Loose furniture is bold with simple lines, from the ‘70s classic Ligne Roset Togo sofa in tan leather, to the Eames lounge chair and LCM dining chairs; to Muller van Severen’s modern classic recliner (more, here). 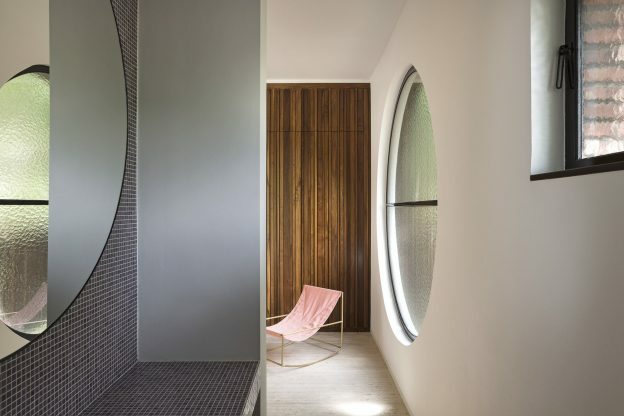 Villa Kaplansky, Antwerp, by B-architecten in collaboration with ByPerez. Photographer: Frederik Vercruysse, with thanks. This entry was posted in wonderful spaces. and tagged Bauhaus, Eames, Frederik Vercruysse, Ligne Roset, Valerie Trans, Villa Kaplansky on June 30, 2017 by owls house london.. 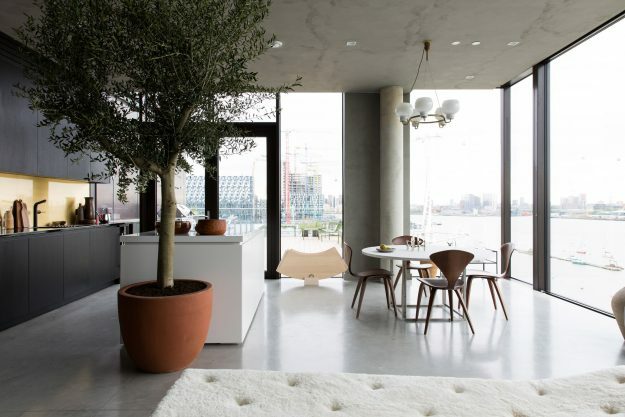 These beautiful spaces belong to Abode, a waterside development in Greenwich, created by lifestyle magazine-of-the-moment, Cereal magazine. 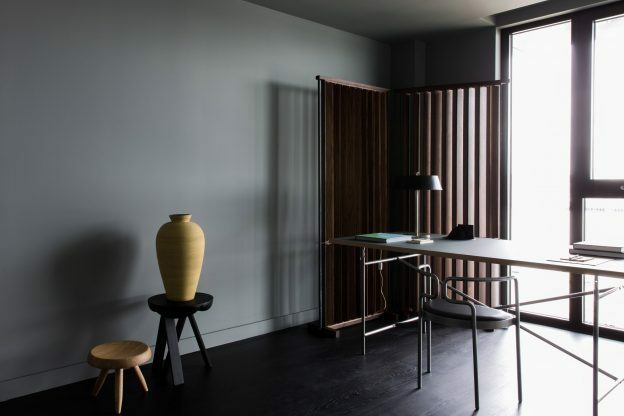 Not your typical contemporary palette of white and wood, and not an Eames DSW chair in sight, this prototype offers a sophisticated alternative: contemporary and vintage furnishings sit against a backdrop of moody greys and dark-stained woods with granite, brass and poured concrete floors. 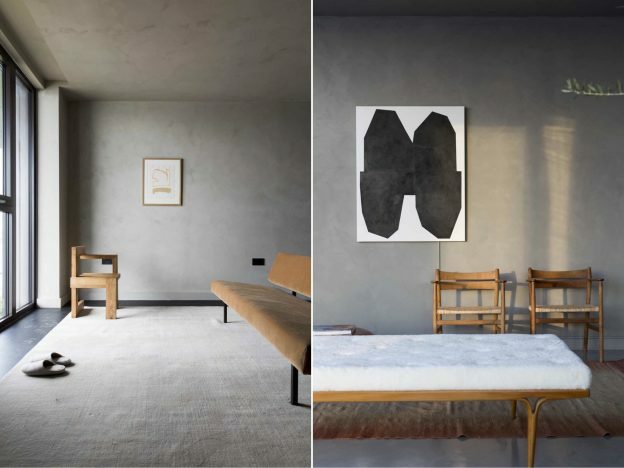 The soft, micro-fine wall surfaces have an ultra matt finish and seamless edges, flowing from floor to wall to ceiling, all in smudgy, earth tones. 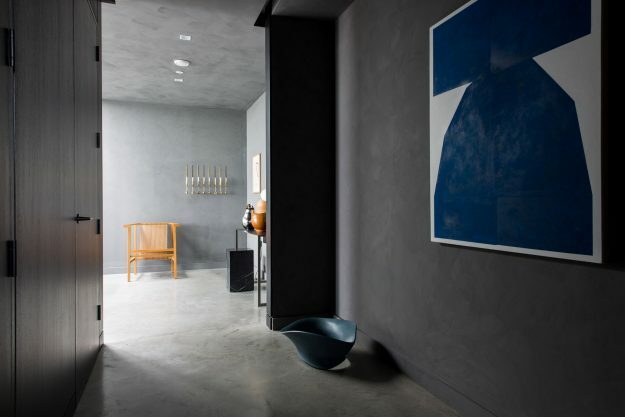 Polished concrete floors run through the open plan spaces, changing to ebony wood in the study. 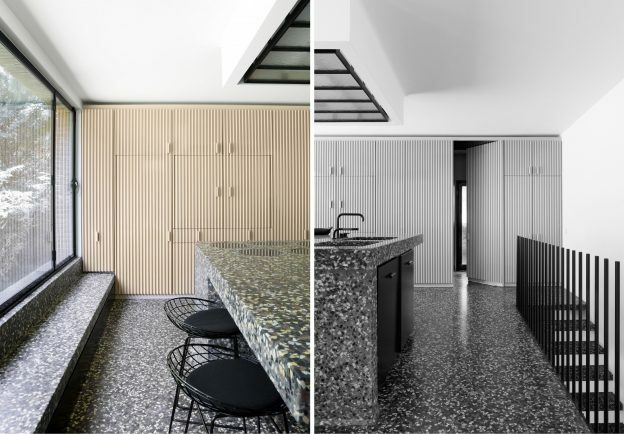 The black stained cupboards of the kitchen run along one wall, extending through the full-height glass and onto the terrace, a built-in BBQ at the far end. A pure white island unit prevents the overall palette from being too subdued, as does the lacquered brass splashback. Classic pieces of furniture abound, including walnut Cherner dining chairs, Fritz Hansen marble-topped dining table, Charlotte Perriand stools, Bruno Mathsson daybed, and other vintage Scandinavian pieces. 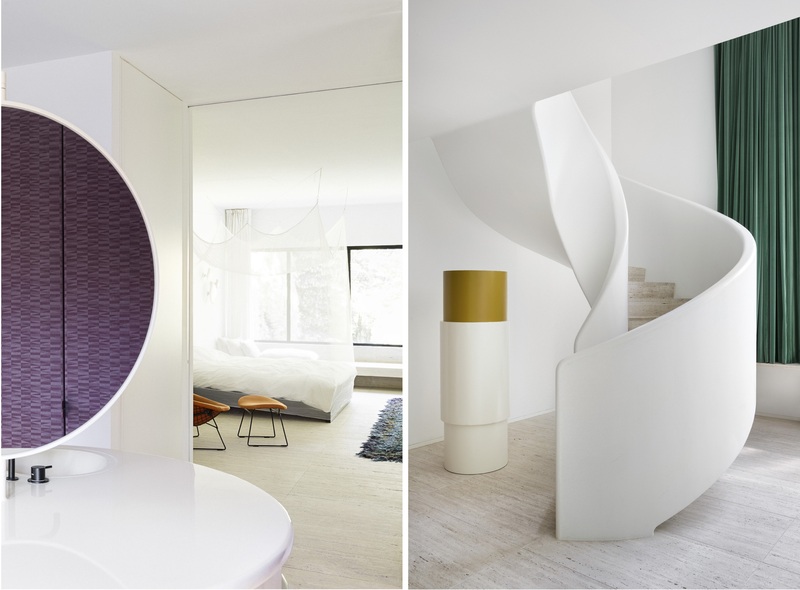 Marble plinths, Georg Jensen silverware and bold, modernist artwork complete the elegant, understated look. I’m moving in. 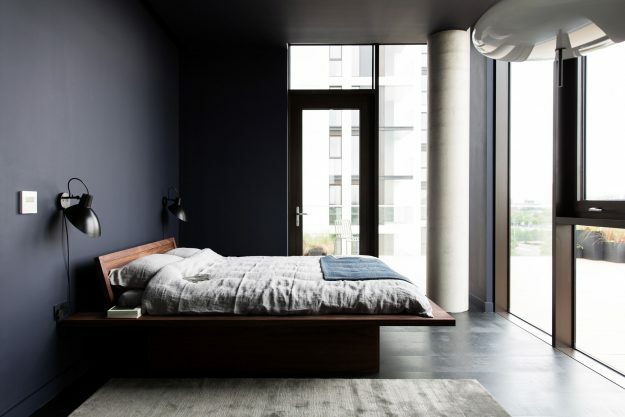 Abode by Cereal magazine and Conran and Partners, London SE10. More, here. This entry was posted in wonderful spaces. 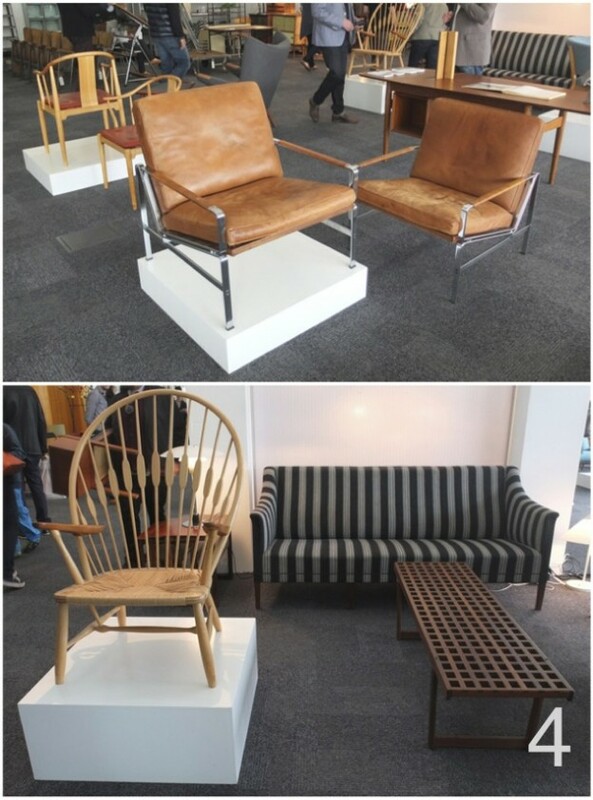 and tagged Bruno Matthson, Cereal, Charlotte Perriand, Eames, Eames DSW, fritz hansen, Georg Jensen on May 27, 2017 by owls house london..
at the fair – the mid century show. One particular spring day in 1959 in Frederiksberg, Copenhagen, a policeman found the time to stop the traffic in order to let a young duck family pass. It was a meaningful enough event to the passers-by that all the newspapers published a now famous photograph of the ducks. This captured moment ‘encapsulates the Danish attention to nature and detail and the ability to appreciate small everyday miracles’. 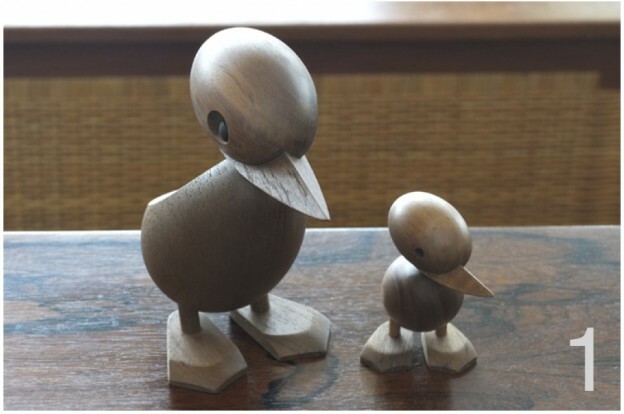 Inspired by the duck family, Hans Bølling designed this pair of small wooden duck figures. Duck and Duckling in teak by Hans Bølling 1959 at Elliot and Tate, specialists in finding and rsstoring the vintage Danish Furniture of Hans Wegner, Finn Juhl, Arne Jacobsen, amongst others. 2. Lovely and Company are an on-line vintage furniture store based in Brighton, UK. 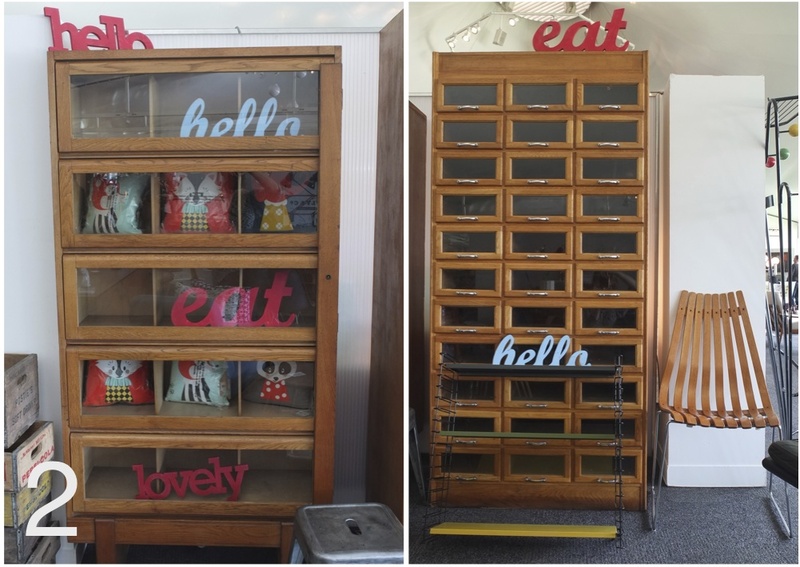 One gets the same thrill scratching around here as any flea-market – they carry a clever mix of 20th Century design classics alongside soda crates and multi-drawer haberdashery chests. Ferm Living is represented, along with House Doctor and Tas-ka. 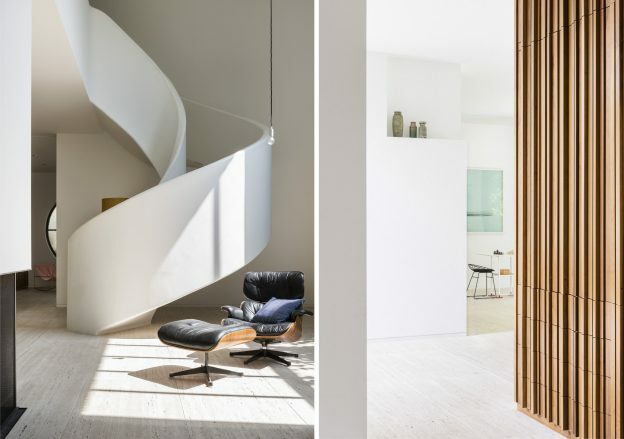 They carry reams of Eames original fibreglass shells (the new version of the chair is in polypropylene), which can be mounted on new walnut bases. 4. 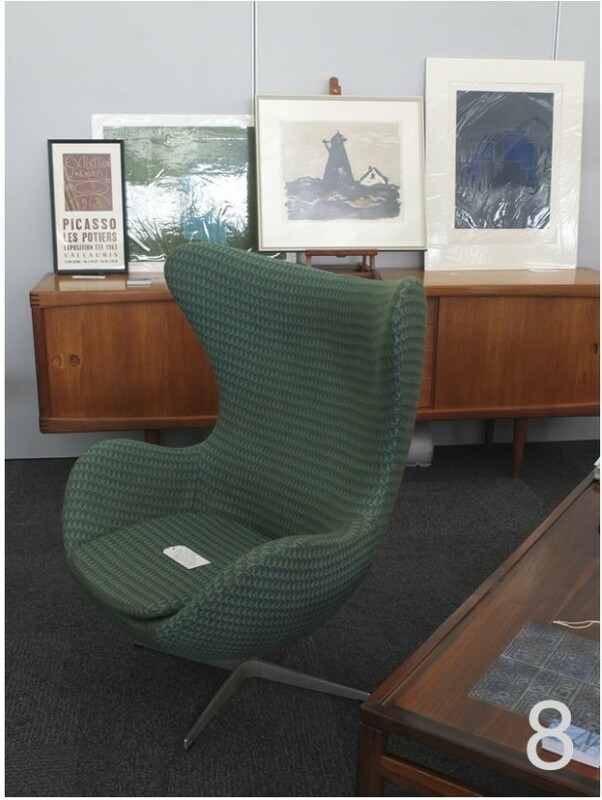 Based in Victoria Park, East London, The Modern Warehouse specialise in buying and selling mid century modern furniture and accessories from Scandinavia, U.S.A. and the UK. The collection is made up entirely of original vintage pieces, not reproductions. 5. 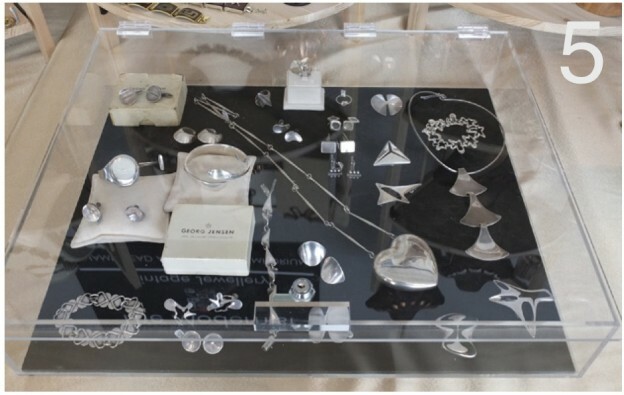 The Modernist based in a wonderful little antique emporium in North London, is one of my favourite haunts: stunning vintage Georg Jensen silver jewellery along with other precious pieces, all from early to mid-century and all fabulous. I wrote about The Modernist in an earlier blog post on the Hampstead Emporium, here. 6. 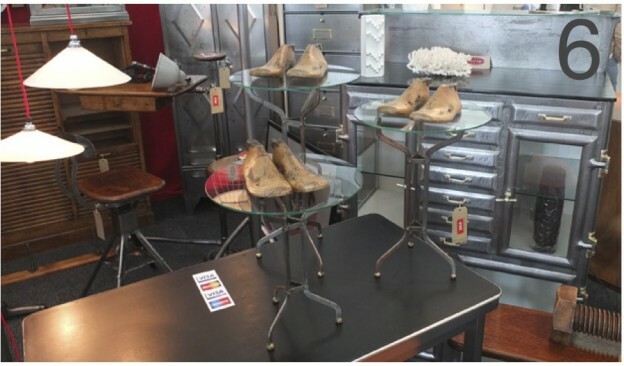 Vintage Unit source and refurbish industrial furniture, lighting & accessories, with examples from Britain and the continent from the post war period. Their pieces are beautifully refurbished things of beauty as well as utility. Practical but decorative and collectable in their own right. 7. 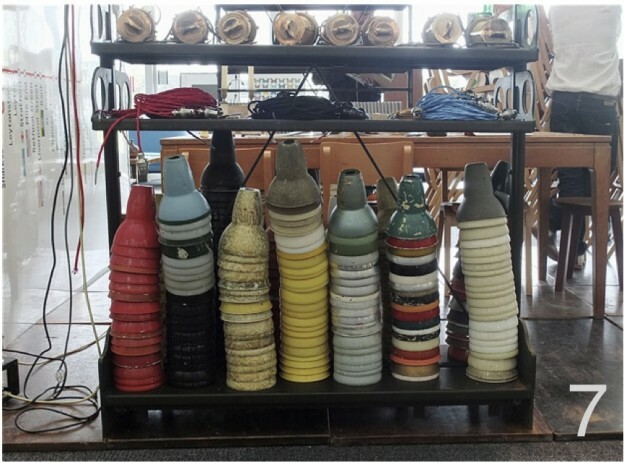 Retrouvius is a stalwart in the architectural salvage business, full of wonderful reclamation pieces. They have released a book, Reclaiming Style, outlining the Retrouvius ‘re-use’ philosophy, from sourcing material at demolition sites and filtering this into the warehouse to adapting materials for re-use in homes via their in-house design practice. I loved the stacks of worn, colourful aluminium pendants. 9. 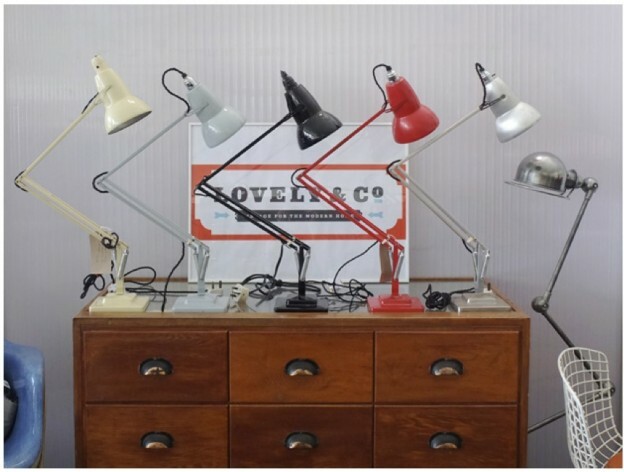 A fabulous array of classic lights including the sweet Pinnochio desk lamp from Augustus Greaves, who specialise in architect designed, post war modernist pieces (and have a beautiful web-site, as well). 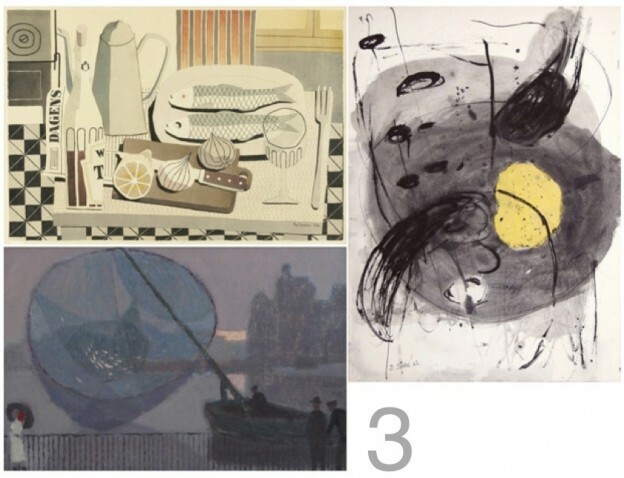 Which pieces would you like to see in your home? All images owl’s house london, unless noted otherwise. This entry was posted in happenings. 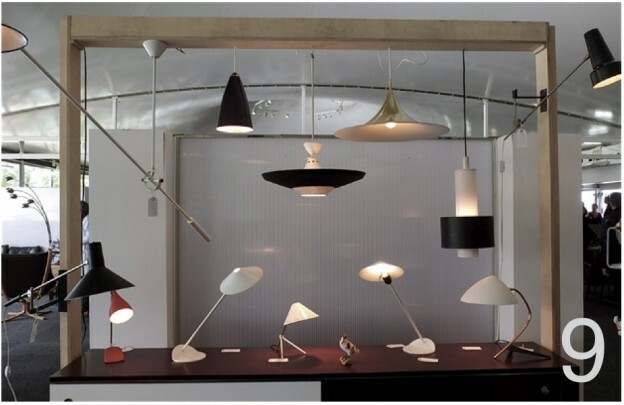 and tagged Arne Jacobsen, Augustus Greaves, design, Eames, Ferm Living, Georg Jensen, Hans Bølling, House Doctor, industrial, mid-century, modern, Pinnochio lamp, Retrouvius, Tas-ka on May 16, 2013 by owls house london..